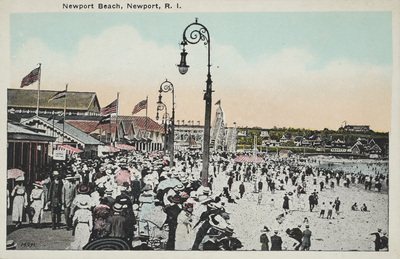 "Newport Beach, Newport, R. I." by Herz Bros., Newport, R. I.
Newport Beach, Newport, R. I.
Herz Bros., Newport, R. I.
Herz Bros., Newport, R. I., "Newport Beach, Newport, R. I." (1935). Rhode Island Postcards. 285.